This is often what my lunch looks like- it’s SIMPLE, and it’s made from tasty and easy to prep ingredients, and most of all, it keeps me full all afternoon long. 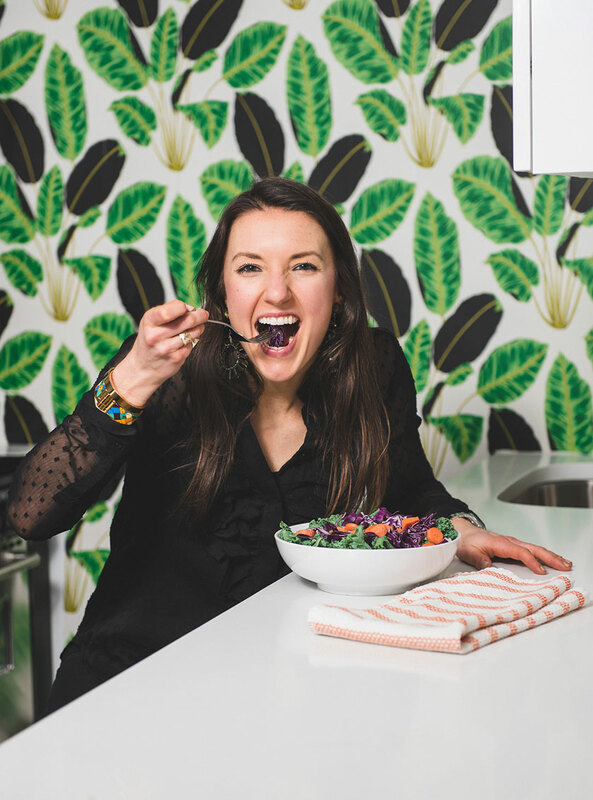 If i’m not full throughout my afternoon, it’s impossible to stay energized, so I rely on really good food to keep me feeling good- like this salad. 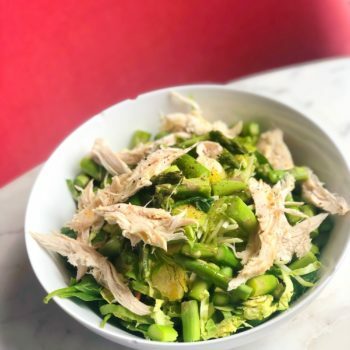 You can certainly make this salad your own, and add your own dressing, but you can start with the base that I have here and personalize it as you wish! It’s gluten free, dairy free, nut free, paleo-friendly, and ready to eat. 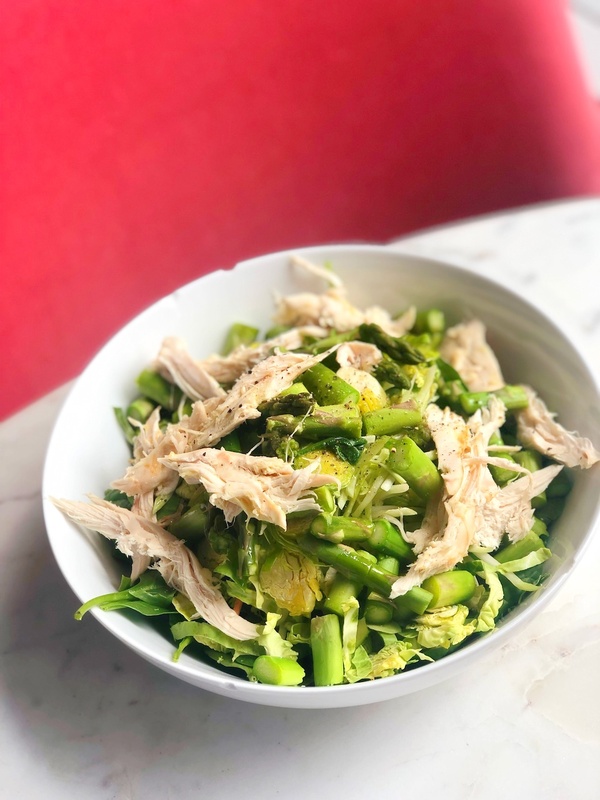 This simple spring asparagus and chicken salad has shaved brussles sprouts and so many yummy ingredients, it's perfect for your lunch! 1 cup bibb or mixed greens lettuces (we used Gotham Greens - "ugly greens"